Movie Review - 'Wrong' - Bizarre Meta Comedy Gets It About Half Right There's a lot of strange in Quentin Dupieux's Wrong. Ostensibly, the latest film from the director of Rubber is about a quest for a beloved and missing canine, but with the bizarre twists and turns along the way, who can really tell what's going on? A Film So 'Wrong' It's Almost ... Um ... Wha??? Writer-director Quentin Dupieux's last film came with its own viewing guide, a warning in the form of a to-the-camera prologue given by a flippant floppy-haired police officer: "All great films, without exception, contain an important element of no reason." The cop's argument is too sweeping, and its examples too transparently nonsensical, to be taken seriously: Why is E.T. brown? For no reason. Why did the guy in The Pianist have to hide? For no reason! Glib and oblique as it may be, though, the message is Dupieux's way of throwing the audience a banana (it would never be a bone): You'll have to meet this film in the peculiar place where it exists — because it won't be coming to you. That film was Rubber, a surrealist deconstruction of the slasher flick starring a tire that comes alive and uses its psychokinetic powers to kill people. The movie divided critics and audiences at Cannes in 2010 — go figure — and as the single unifying logic for a film, "no reason" is likely to do the same in Wrong, a similarly self-reflexive take on the slice-of-life film in which storytelling comes a distant second to unexpected oddity, clear meaning is difficult to locate and narrative nonconformity is the watchword. In Wrong, Dupieux does at least deploy a more relatable premise — the protagonist's beloved dog has gone missing — to hang his irreverence on; it's Wendy and Lucy by way of Bunuel. When Dolph Springer (Jack Plotnick) can't find his beloved dog Paul, he distracts himself by chatting up his neighbor Mike (Regan Burns), who's suddenly off on a drive to anywhere but there. Abandoned, Dolph calls up a local pizza place to debate the merits of the logo that appears on a flyer dropped in his mailbox; feet away, Dolph's gardener (Eric Judor) calls him on the phone to discuss an urgent matter in the back yard. Self-appointed guru Master Chang (William Fichtner) specializes in teaching underperforming pet owners how to communicate telepathically with their animal companions. Each event's inherent banality is skewed slightly by the actors' matter-of-fact delivery and an external sense of dread amplified by the playfully ominous score, composed by Dupieux. 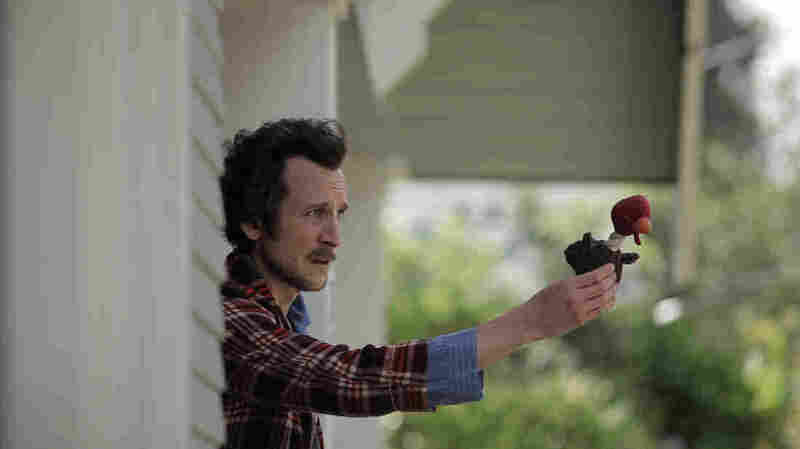 Finding a connection to these characters-as-objects is least difficult with the disheveled Dolph; Plotnick saturates his sad sack of a character with enough sympathetic unease over his pet's disappearance that he supplies the film with an unlikely emotional core. It's hard-won, though — and it's even occasionally unclear whether Dolph is suffering only from the loss of his dog or from the absurdist complications that keep cropping up in his world. How strange is it, after all, to receive a mysterious phone call from a zen-mild dognapper in a world in which your indoor office is caught in a torrential downpour and the protean palm tree in your back yard has decided to be a pine? The man responsible for Paul's disappearance turns out to be the eccentric guru Master Chang, a self-help author who specializes in teaching dogs telepathy — and stealing pets so their owners will appreciate them more. Dolph's baffling conversations with Chang, played with total commitment by William Fichtner, are the closest the movie comes to straight comedy, and they're well worth waiting for. In Wrong, reality and the world of the film will regularly upend themselves; it's never quite reliably clear, though, that these inexplicable events are happening for a purpose. Dupieux, who has admitted as much, is clearly having an incredible amount of fun. Whether "no reason" is reason enough to strap in for the ride is less clear.